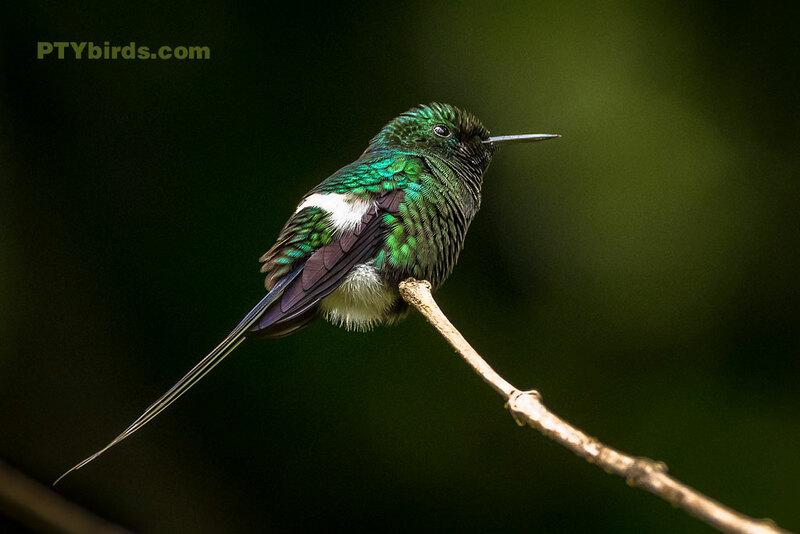 The green thorntail is a small hummingbird that is a resident breeder from Costa Rica to western Ecuador. It occurs at middle elevations from 700–1,400 m but may descend lower early in the wet season. In Costa Rica and Panama it is confined to the Caribbean slopes. This is a forest canopy species.